A major topic of the GED social studies test is US History. One of the topics under it is civil liberty. One of the most important aspects of a democracy like the US is the protection of civil liberties of all people. In the US, civil liberty is a big issue fought in various levels of society, from the streets to the hallowed ground of the White House. If you are going to take the GED exams, you have to know about the struggle for civil liberty, because it is a big issue that spans a hundred and more years of US history. 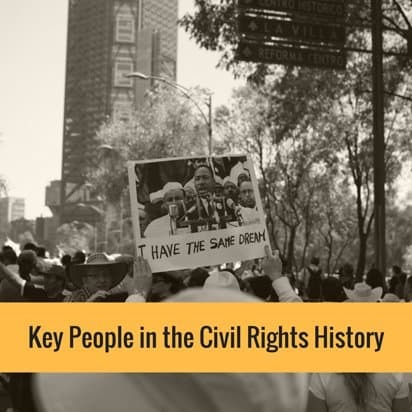 Civil rights include a lot of topics including gender equality and racial equality. However, the struggles of African Americans for equal rights is the biggest civil rights issue you that you need to understand. The civil rights history in the US has been going on for more than a hundred years from the emancipation of black slaves, but certain events drive it in certain directions. If you want to pass your GED test, you might want to familiarize yourself with these key events in the quest for racial equality in the US. 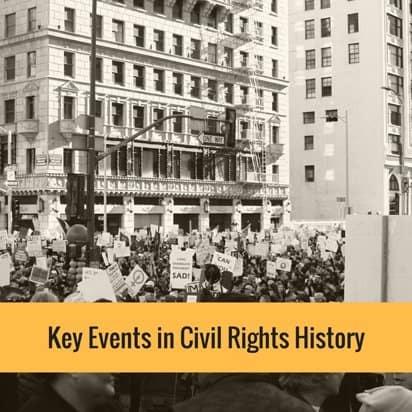 The civil rights movement in the US has gone through several key events that lead the country to more equality, but these key events would not have happened had it not been for some major key players or personalities that drove it forward. Of course, you know some of the big names like Rosa Parks, Martin Luther King Jr and Malcolm X, but these people could not have done it all alone without the support of different people from all walks of life, from ordinary citizens clamoring for change to the politicians who listened to their clamor. Most of the time, GED test lets you read an article or excerpts from books and legal documents about civil rights. You don’t need to memorize everything, just understand what you read. You also have to test yourself to see if you have retained the information you have studied. The best way to test yourself is by using GED practice sheets, which also help you familiarize with the test procedure itself. 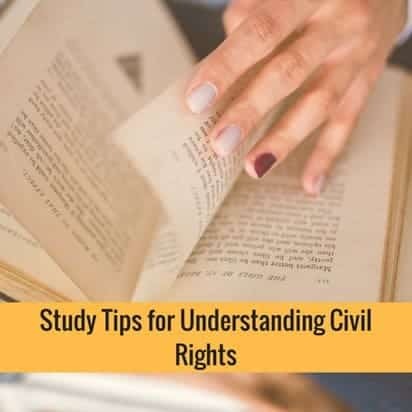 Read various documents and sign up for GED prep classes that explain civil rights topics in detail. One helpful tactic when reading is to write summaries of the passages on your own. This will help ensure that you understood what you’ve read. Civil Liberty is a part of GED social studies test under history. But learning your country’s history should not be only for the test but also to help you understand what events shaped your country today and help you become a knowledgeable and responsible citizen.